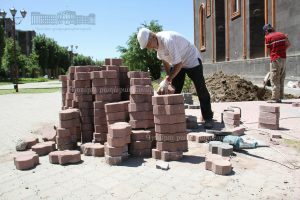 How is Gyumri preparing for the visit of the Holy Father? More than 20,000 people have expressed their desire to participate in the Holy Mass that will be offered by the Holy Father Pope Francis. 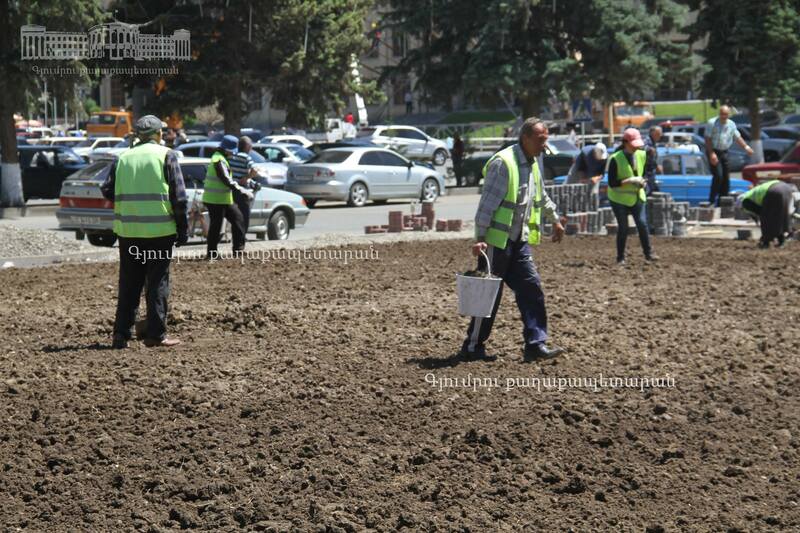 Gyumri is actively preparing for Pope Francis’ pastoral visit. 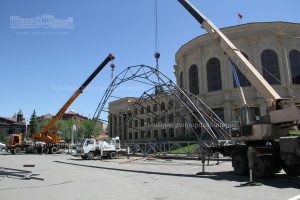 Armenian Catholic Ordinariate has finished the registration for participation in the Divine Liturgy in Vardanants Square in Gyumri on June 25. In the coming days invitation cards will also be provided. The altar and stage on which the Holy Mass will be offered is being built in Vardanants Square. 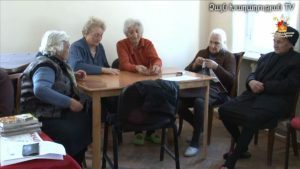 We talked about the details of the preparation for the Pope’s visit with Father Joseph Galstyan- priest responsible for the information system of the Armenian Catholic Ordinariate. 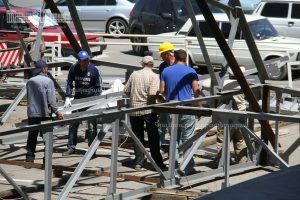 “Now the preparation activities of the altar are being actively held at Vardanants Square, on the stage of which the Holy Father will offer Holy Mass on June 25, 2016. 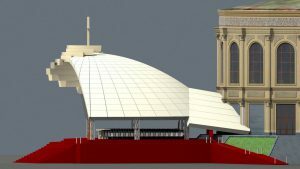 The altar is big enough with 26 meters in length and 12 meters in height. 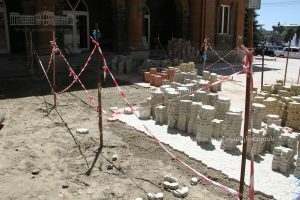 I think the altar will be quite large and beautiful. There will be a cross on the cover- on the top; the altar table will be 2 meters high. 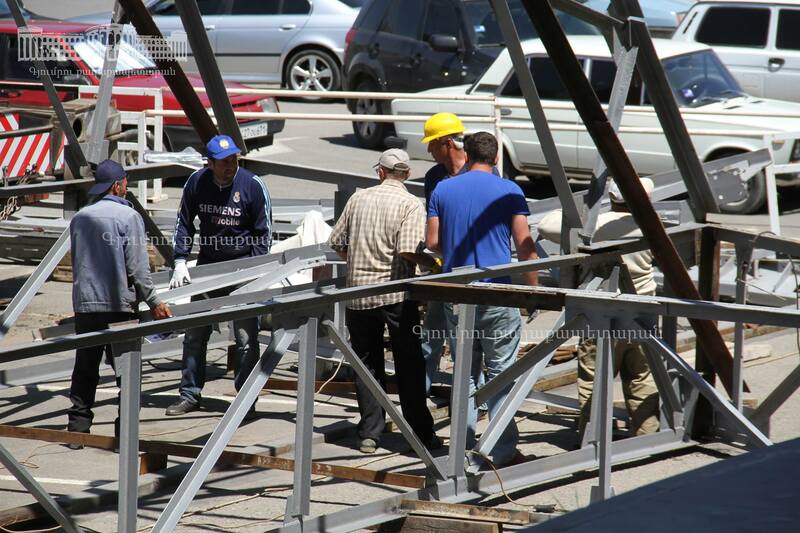 The icon of Virgin Mary and baby Jesus will be placed on the wall. Besides the Pope Francis there will be about a hundred people on the altar -clergy, and probably, the choir. The Mass will be of the Latin Rite, but Armenian sharakans (Armenian chants) will also be performed by the Armenian choir. The enrollment of participants in the Holly Mass is completed. 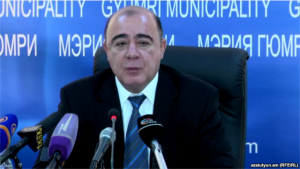 More than 20,000 people are registered from Gyumri, as well as from other communities. It should be said that people from other countries have also expressed desire to participate in the Holy Mass and are enrolled. Father Joseph Galstyan, speaking about the organizational works, said that there was a special committee, which was engaged in the provision of conditions for Pope’s visit. Even when the registration was over, people came and asked whether it was possible to add several people to this list. Waiting is great, and this once again shows the appreciation and gratitude of the people. As we recall, on April 12, 2015, the Holy Father Francis took a great, historic and bold step. Once again, after his predecessors, he voiced the fact of the Armenian Genocide and the necessity of its universal recognition, as well as addressed his message to the Armenian nation. 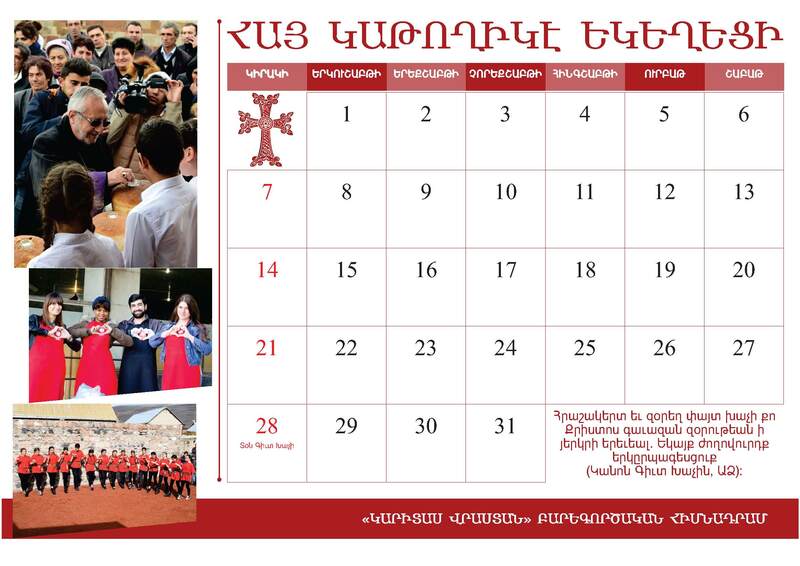 This is a unique opportunity and a new spiritual impulse for our Armenian Catholic community to find new ways for further development of our zeal and piety. This is a beautiful expression of appreciation, knowing and loving us. 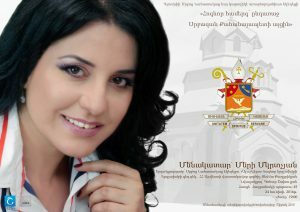 It is also important that the Holy Father will visit the Holy Martyrs Armenian Catholic Church. 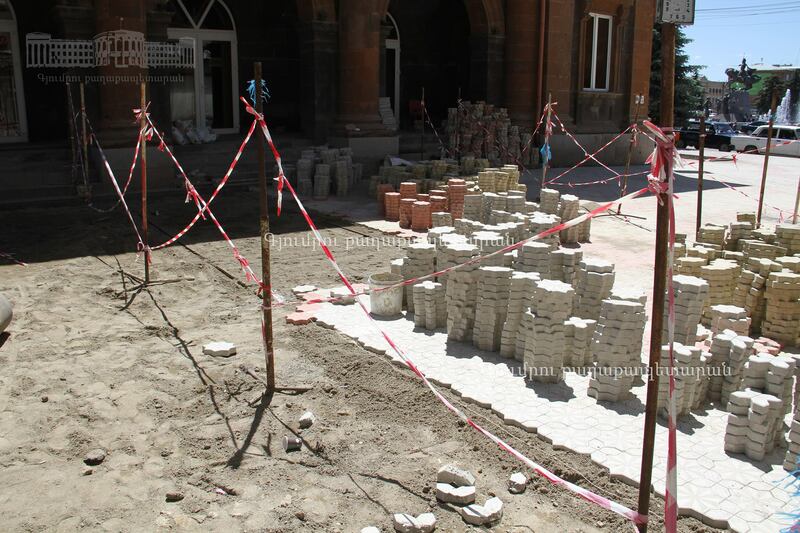 This is the fourth important milestone for the spiritual awakening of the Armenian Catholic Church. 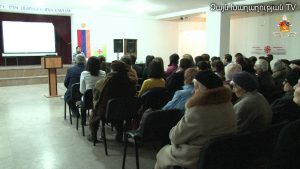 The first one is, of course, the formation of the diocese in 1991- the Ordinariate of the Armenian Catholic Church in Armenia, Georgia, Russia and Eastern Europe. The second important milestone was the visit of Pope John Paul II in 2001. 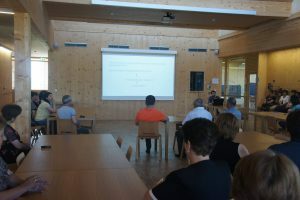 Though he did not come to Gyumri, but it was also a good opportunity for re-evaluation of our Christian identity and consciousness and a beautiful expression of the Holy Father’s paternal love. 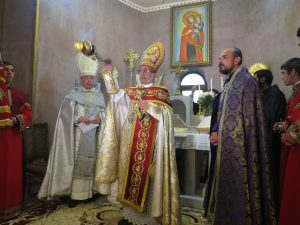 The third important milestone was the consecration of the Holy Martyrs church on September 24, 2015. This important event was attended by Cardinal Leonardo Sandri on behalf of Pope Francis, who brought with him a letter from the Pope. The consecration was a very important event, as the Armenian Catholic community at last had its episcopal residence. And this visit of Pope Francis, as a fourth milestone, is another pinnacle which will give new impetus to our community and generate new enthusiasm. 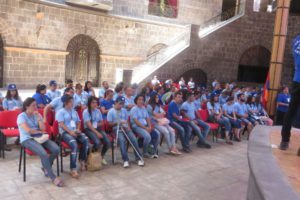 It must be said that such a great and enthusiastic expectation of our people is an expression of the unity of the Armenian Catholic and Armenian Apostolic communities. 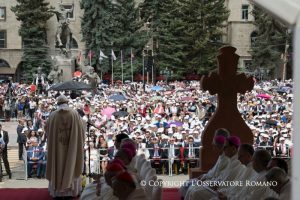 More than 20,000 people want to attend this Holy Mass, receive the Holy Father’s blessing, enjoy his paternal love and listen to his homily for spiritual enrichment and inspiration. 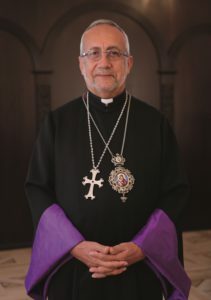 It is important that His Holiness Karekin II, Supreme Patriarch and Catholicos of All Armenians will also participate in this Holy Mass, and the faithful crowd can enjoy his presence and paternal blessing as well. 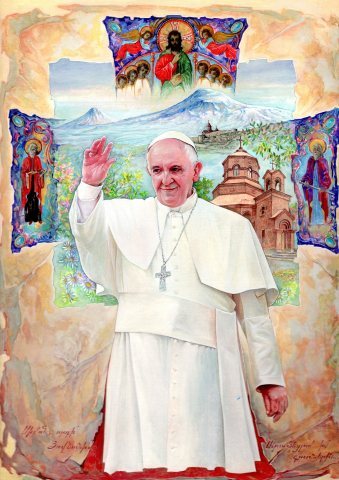 The great number of people present in this Holy Mass is our expression of gratitude to His Holiness Pope Francis for his historic step on April 12, 2015, which was a new twist on the way of the recognizing Armenian rights and claims”. “We do everything for our city to be pleasant and clean. 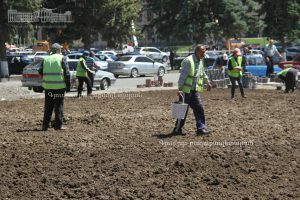 Everything is done from the airport up to the Sakharov Square and to the Convent of the Congregation of the Immaculate Conception, the street after Vazgen Sargsyan is also renovated, we try to do everything to make the city receive the Pope in a proper way. There will be special sections in the square, in one of these sections there will be seats, probably 1600 seats at the very center and the other sections will be on the other side of the square to make way for the Pope to move on his papamobile among the people. Of course, there will be many guests, because there are many Catholics in the region. Now we have a problem of fitting 22 thousand people in the square. 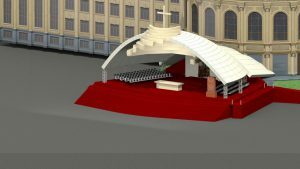 Screens will be placed for people having no invitation cards to be able to participate in the Holy Mass. As mayor, I attach great importance to accepting the Pope in a proper way as the Pope is one of the most senior clergymen in the world. And if we are hosting today, we must do everything to make it on a high level”. The aim of Mary Mkrtchyan’s concert is to make the visit of the Holy Father to Armenia and especially to Gyumri, a holiday and, prepare for the next day’s Holy Mass, providing a rich spiritual atmosphere.